Renovated in the year 1852, the Holy Trinity Church building with its arresting entrance and lofty tower impresses the first time visitor with its glorious beauty. All of these architectural elements can be traced back to typically English Renaissance influences. 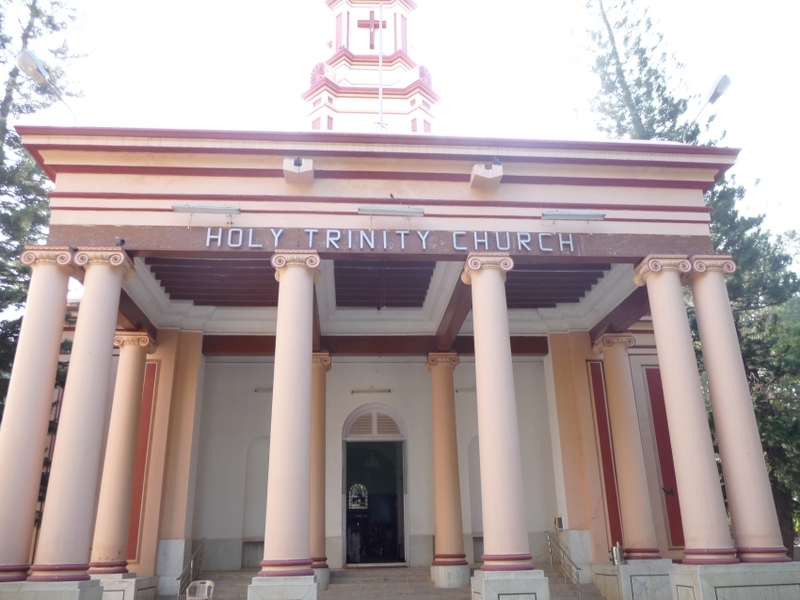 More that just a place of worship, the church was stationed by the British Army for the Queen's Battalion associating to the Bangalore Cantonment region. The church inside has separate pews for army officials, while the altar is flanked by silver painted angels and stained glass on either side. The hymns and prayer services arranged are a solace to every disillusioned soul. Holy Trinity also organizes the 'Annual Thanks Giving Day' in November, and runs community welfare activities for the needy and underprivileged. Located at the far end of the Mahatma Gandhi Road, this church is close to Ulsoor too.